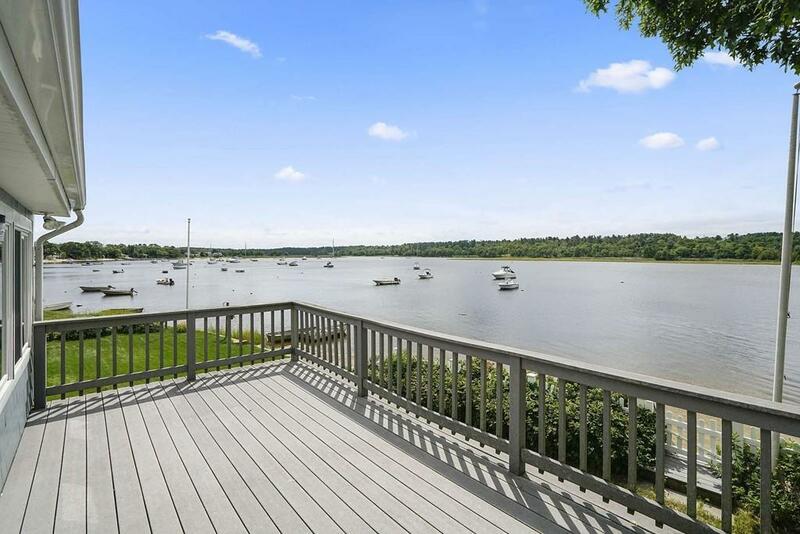 Spectacular water views, deep water access to buzzards bay and sandy beaches...just a start to all that this home has to offer. Whether your looking for all year round or just a seasonal get a way, this is your next Home Sweet Home! The main floor offers 2 bedrooms with a full bath. Full eat in kitchen lined with white cabinets. Living room that extends into a sun drenched enclosed porch with spectacular views. Move out to the deck perfect for entertaining or just to capture and enjoy the full experience of waterfront living. Downstairs has another full bath with laundry and a very spacious family room. Having guests? No problem there is a bonus room with a full closet. Exit out onto a covered patio with a mounted TV great for game time or relaxing on those lazy days. With beach access and a fenced in back yard with an outdoor shower there is no place left to go. What ever your needs are this home can accommodate ~ welcome home!